An ultrafine powder so delicate, it’s pure translucence. ●Glides on with airy smoothness and creates a translucent powder finish that envelops the complexion in a veil of beauty. 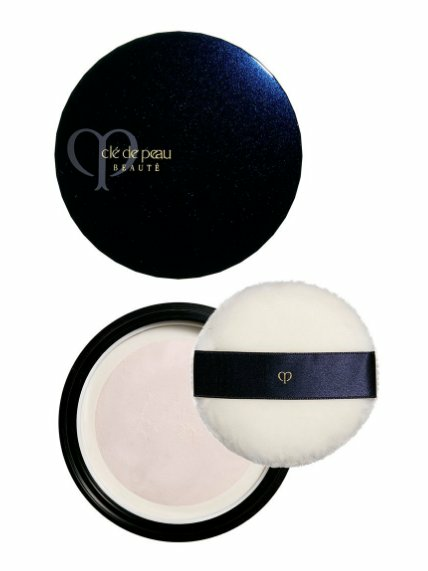 ●Offers the light-as-silk coverage of a face powder without a dull, chalky look. ●Formulated to provide the ultimate face powder for minimizing imperfections and enhancing the natural luminosity of skin. ●Inspires a sense of perfect beauty and comfort. ●Applies evenly, wears flawlessly, and provides a long-lasting translucent finish. ●Helps to maintain the fresh appearance of your foundation. ●Take a desired amount of powder onto puff and gently pat onto face. ●This exceptional loose powder can be used over foundation as a finishing powder or can be applied following a pre-makeup base to give skin a look of evenness and enhanced luminosity. Shop Shiseido CPB poudre libre transparente Loose powder set online at Hommi.We ship worldwide,free International Shipping over 8000 yen.See Price, Brand, How to use, Images, Customer Reviews, Questions & Answers for Shiseido CPB poudre libre transparente Loose powder set.Customers who viewed this item also viewed club skin care makeup remover 26g,CANMAKE Mat Fleur Cheeks Three-color election,CANMAKE Transparent Finish Powder 4colors,Cezanne Nose Shadow Highlight Made in Japan,IPSA Creative Concealer SPF25.You can also buy CPB natural cotton 120piece,Clé de Peau Beauté correcting cream veil /Sheer Fluid Veil,Cle De Peau Beaute Gentle Cleansing Foam,Cle de Peau Beaute voile blanc brightening enhancer base 30ml,CLE DE PEAU BEAUTE Silky Cream Foundation fluide/éclat Two optional and more Clé de Peau Beauté(CPB) at Hommi.